Map Sport: YOU Can't Handle It!! Orienteering, the map sport, is a competitive international sport that combines running with navigation. It is a timed, intense race in which individual participants use a specially created, highly detailed map to select routes and navigate through diverse, forested or urban terrain. The sport is quite popular in some European countries, and is rapidly gaining in China and Brazil, but remains relatively obscure in other parts of Europe and in all of North America. 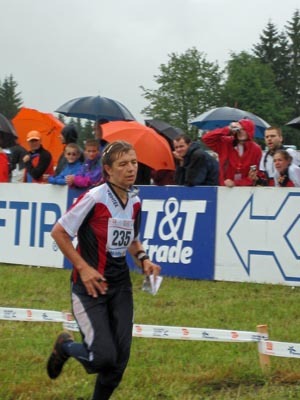 Top orienteers exhibit stunning athleticism; some started or finished their careers on their countries' national track or cross-country teams, and several have run the Olympic marathon. 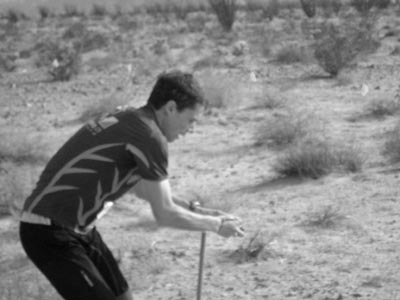 Because of the specific biomechanics involved, elite endurance runners cannot keep up with the best orienteers off trail, running through uneven terrain. The task may seem deceivingly simple, but to navigate cleanly through complex, feature-rich terrain requires ultimate attention and information-processing skills. Far from a gentle ramble through the woods, competitive map sport is a perplexing challenge for the body and the mind. The sport requires special, precisely surveyed maps. High-level competitions feature uncannily planned courses, certain to test the abilities of the runners to the max. The first event Get Lost!! helped to organize was a national ("A") competition in Cincinnati, Ohio, and we followed up with the highly acclaimed San Francisco Sprint Festival in late 2009. We plan to offer several days of national- and international-quality orienteering in each of the coming years, continuing with the San Francisco festival in late 2011. A fragment of an orienteering map of McLaren Park, San Francisco, California, © 2009, 2010 Get Lost!! Running, Racing. We would not have been able to accomplish this, and certainly will not be able to realize our extensive ambitions, without the generous assistance by the selfless members of the Bay Area Orienteering Club. The friendly club holds local and national events throughout the Bay Area approximately once every two weeks. With a collection of some 50 maps of most of the favorite Bay Area parks, the club's schedule should be the first one to be checked by an outdoor enthusiast who's looking for regular exercise challenges involving navigation. 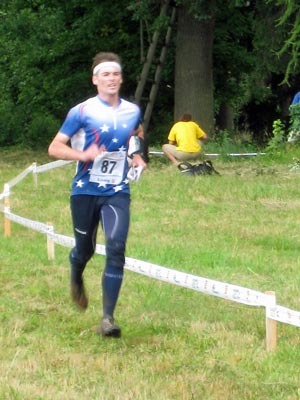 Many-time U.S. Champion orienteer Eric Bone says: The Sprint Series Finals ... was a visionary event. ... The final two sprints, at McLaren Park, are probably the best I have ever run. The map and courses were excellent, and the competition was fierce and fun. © 2010 Get Lost!! Running, Racing, Inc.